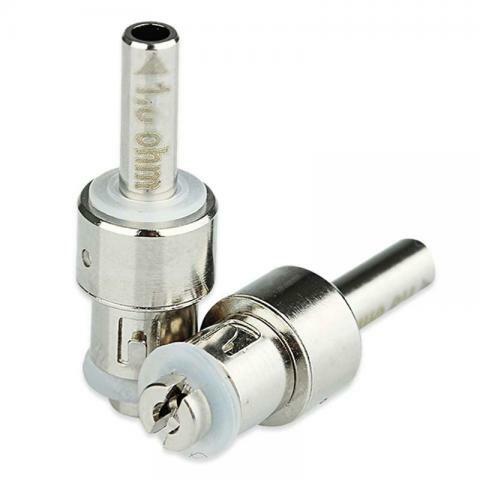 Eleaf iJust BDC atomizer coil head, suitable for Eleaf iJust BDC atomizers, Eleaf BCC-GT BDC atomizers and Eleaf iJust GS14/16/16S atomizers. 2 resistances are available, 1.6ohm and 1.8ohm. • It's for Eleaf iJust BDC Atomizer - 3.7ml, Eleaf BCC-GT BDC Atomizer - 1.6ml, Eleaf iJust GS14, GS16 and GS16S Atomizers. • 2 resistances are available, 1.6ohm, 1.8ohm, which enable you to use it with different batteries and mods. Delivery is very fast, 22.09 ordered 07.10 order was already at the post office. Track tracked. Packed well. Thank you very much to the seller. The investment of a great deal of time and energy in R&D, BDC atomizer head, a upgraded atomizer head, is unveiled. Product as described and fast shipping. Eleaf iJust BDC Atomizer Coil is a 5 piece per pack atomizer with a 510 drip tip and a 1.5ohm resistance dual coil. It is very healthy and last long.